USA Today best-seller Micah Caida, author of the Red Moon Trilogy, is visiting today! What inspired you to write the Red Moon Trilogy? It came from a single thought of “what if the next generation turning eighteen was the one that changed the world?” That sounds simple until you look beneath it and add a sci-fi/fantasy element, then all of a sudden the story takes on a life of its own and ideas just explode from it. I have to admit that when we started writing this, we didn’t realize it would conclude during a blood moon tetrad – a series of blood-red moons hypothesized to indicate the end of the world as we know it. You said “we,” so who is USA Today best-seller Micah Caida? Micah Caida is the pseudonym of USA Today bestseller Mary Buckham and New York Times bestseller Dianna Love. We’ve worked together to brainstorm our independent stories for many years. During a break in one of those brainstorming sessions, we started kicking around this idea. We knew in that first hour of talking about it that the story was unlike anything out there and that it had to be young adult. The Red Moon Trilogy journey has been one filled with a lot of surprises, good ones that have made it worth the past couple years of intense drive to reach this point. What sort of research have you had to do for the series? You’d think that since it’s a sci-fi/fantasy we would just make up anything we want, but this story has taken quite a bit of research. The opening setting is a desert in Albuquerque, New Mexico where Rayen (lead character) comes awake to find a ghost of an old man talking to her and a deadly sentient creature chasing her. Native American, especially Navajo, elements play a part in this story along with the history of the Antikythera device created two-thousand years ago and thought to be the first analog computer. How does the Antikythera computer play a part in this trilogy? We took truth and spun it into a mythology, much the way different races used mythology to explain truth in past times. For example, there is a story in Indian mythology about the elephant-headed god Ganesh who was insulted by the moon god. Ganesh put a curse on the moon that caused those who viewed it on a specific day to suffer bad luck, then he made the moon disappear forever. The moon apologized for making fun of the way Ganesh looked and begged for mercy. Ganesh gave in, but said the moon would still disappear once a month. There were some other terms, but basically this explained the moon’s vanishing once a month and it was the origin of an Indian festival called Ganesh Chaturthi that runs for ten days each year. Our mythology about the computer is a bit more complex and affects today’s world as well as one far in the future. What’s your favorite part about writing a young adult series? Absolutely it’s the joy of spending so much time in a sci-fi/fantasy world, but after that, it has to be the response we’ve gotten. We really had no idea how this trilogy would be received until we handed the first book – Time Trap – to a group of beta readers. The group was made up of 15-19 year olds, some adults (all ages) and a couple of advanced 11-12 year old readers. We were very pleasantly surprised at how this story resonated for all ages. Instead of pushing for professional reviews early on, we asked “readers” to give us honest feedback and from that we ended up with statements like these. ~~ Alexandra Fedor, 15, who has read The Book Thief, The Hunger Games, and Anna Karenina. Is the trilogy completed yet? 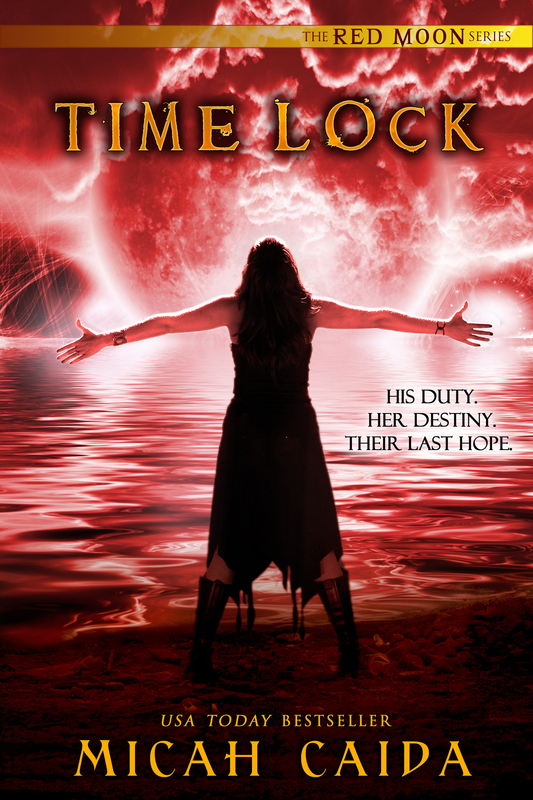 Time Lock, the final book in the Red Moon Trilogy will be available on June 10th in print and e-book, with audio to follow. This last book was the most fun to write. All the books are full of action and have a romance, but this one was like a full-on race to the finish. What is THE RED MOON TEEN READING EVENT that Micah is hosting in June? This idea grew from thinking about how teens don’t have the same advantage as adults, who can download a book on a whim because they have e-readers and credit cards. Teens either have to depend on a parent to buy a book for them or to take them to a library. If we want teens to read during the summer when they aren’t loaded down with schoolwork, then we should do two things – offer books they want to read for fun, and make it easy. We hope our idea takes off and by the summer of 2015 teens will have many more books to read by only having to “click” a link, but this year—June 1-30—any teen can read all of Time Trap on a phone or any other mobile device (or home computer) by simply clicking on www.RedMoonTrilogy.com – that’s all. No sign in needed, because this is not about data mining. This is about offering teens a read when they want it, without them having to jump through hoops. Thanks so much for inviting me (Micah Caida) to guest blog today, CC! Rayen wakes up in a place that is both familiar and strange, then quickly finds out she has no control over her world … until she travels through a portal and meets a young warrior who is as deadly as he is attractive, and who thinks she’s the enemy. QUESTION – if you could travel to another world, would it be in the future or the past, and what would you like to find there? POST an answer, or a question you’d like answered, to be in a drawing for all three Red Moon Trilogy books (signed) (continental US only)– Time Trap, Time Return and Time Lock. Don’t forget to stop by RedMoonTrilogy.com the entire month of June (only) to read TIME TRAP in its entirety. To read excerpts on all the Red Moon Trilogy books and purchase e-book or print copies, please visit www.MicahCaida.com. It’s finally here! 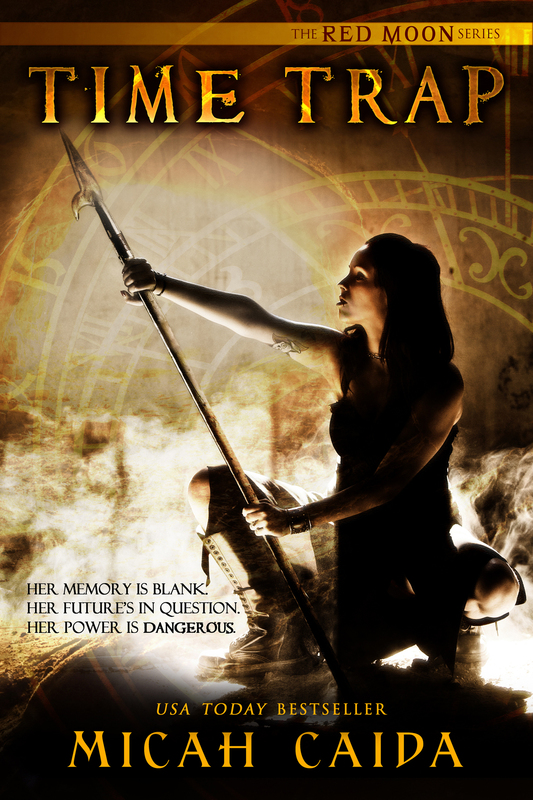 Today is release day for Della’s first book, Reborn. Many of you have taken advantage of St. Martins deal and pre-ordered it. If you didn’t pre-order Reborn, you can order it now on Amazon, Barnes & Noble or Katy Budget Books. You can go to your nearest bookstore, too, and ask for it. I’m starting in Texas with a signing on June 1 at Katy Budget Books in Katy, TX from 2-4 PM. I’ll be there along with two of my favorite people and wonderful YA authors, Joy Preble and Sophie Jordan. Then, June 14 I’ll be at the Very Paranormal Book Rave at the Pasadena, Texas Barnes & Noble 1-3 PM. I’ll be there with a whole lot of other YA paranormal authors. It should be a lot of fun! So come join me and start Della’s personal journey because she is about to discover what her own story is meant to be…Watch the trailer now and get a glimpse of Shadow Falls and our favorite vampire. Reborn is on sale now! So tell me, are you excited, too? Did you pre-order Reborn? Or are you buying it today? The winners of Reborn from last week’s contest are Sarah Mabe (US) and Zahra Niazi (Canada). Please email your addresses to cc@cchunterbooks.com. Congratulations! The closer it gets to release day for Reborn, the more excited I get! There’s only one week left. One week! I can hardly stand it. How about you? And now I can tell you that the audio book for Reborn will be released soon, too. Here is just a preview: https://soundcloud.com/macaudio-2/reborn-by-c-c-hunter-audiobook-excerpt. 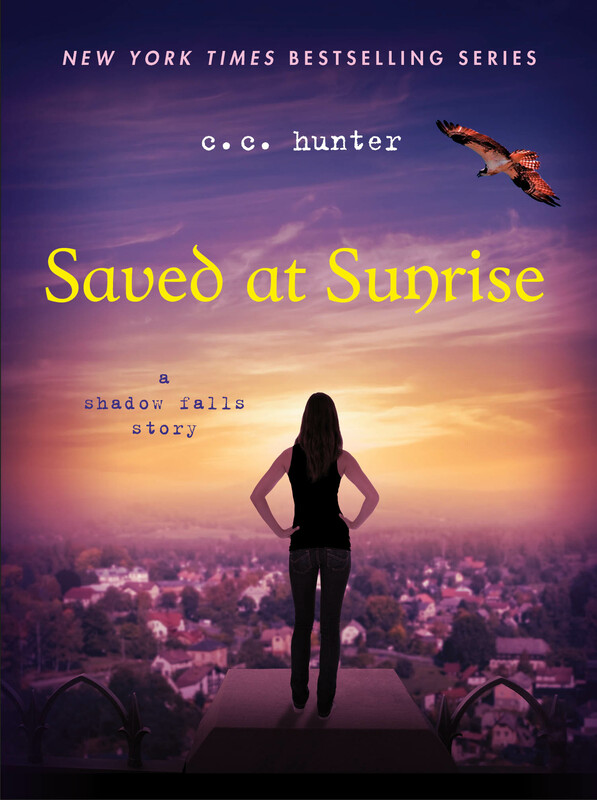 I know I strongly recommended you read Saved at Sunrise before you read Reborn. That’s the novella all about Della and Steve’s exciting FRU mission. And boy do the sparks fly between those two! To make sure you read it, I’ve been posting a chapter every Friday at Wattpad, so you could read it for free. But if you did the math, you knew I didn’t have enough weeks left before Reborn came out for you to read it all by just a chapter a week. So, we solved that problem. The entire novella is now posted at Wattpad and you have a week to read it before the big day. Follow this link to Saved at Sunrise: http://www.wattpad.com/38470031-saved-at-sunrise-chapter-1. 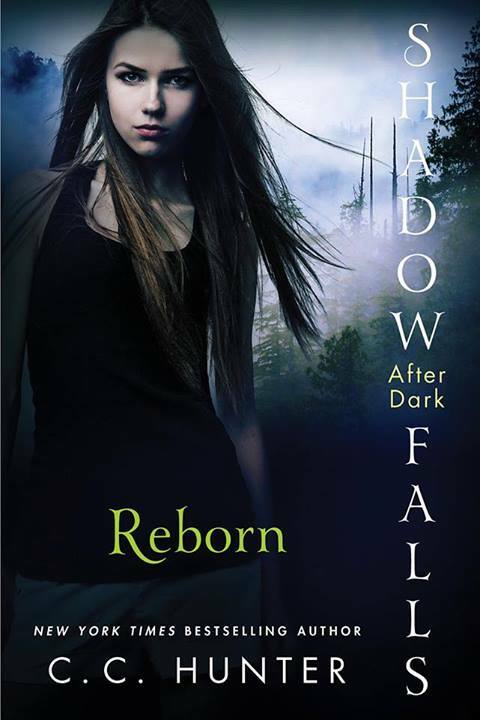 I hope you have pre-ordered your copy of Reborn, because if you are going to buy it anyway, you might as well get your free copy of Shadow Falls: The Beginning. I mean, why wouldn’t you? All you need is your receipt for your pre-order to show to St. Martins Press. If you missed it before, here are the details: http://us.macmillan.com/SMP/promo/TheRebornPreorderSweepstakes. This week, I’m giving away two copies of Reborn, one to a US resident and one to another fan overseas. All you have to do is answer these questions from the first chapter of Reborn. So, you have to go to Wattpad to read the chapter and answer these questions. 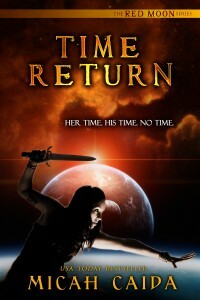 You can find it here: http://www.wattpad.com/story/15649434-reborn. Make sure you email your answers to cc@cchunterbooks.com and be sure to tell me what country you live in, too. Don’t post your answers here. The winners will be chosen randomly from all those who answer the questions correctly. What kind of PJs was Della wearing during her dream? What secret does Della’s sister, Marla, tell Della about their father? What was Della accused of stealing from her father’s cabinet? Last week’s winners of a copy of Reborn are Emily and Kathy Lynn Frank. Congratulations! Please email your mailing addresses to cc@cchunterbooks.com. [j1]We said we’d give two away. Does May 20th seem too far away? Want a preview of Reborn? Well, the entire first chapter is now up on Wattpad. And here’s another little extra for you. A few weeks ago I posted a Reborn video created by R. M. Brand. Now, I can finally reveal St. Martin’s official video for Reborn. I LOVE it! In less than two weeks Reborn will be out. So, if you want to pre-order your copy and get a FREE copy of Shadow Falls: The Beginning, you better hurry. Shadow Falls: The Beginning contains both Born at Midnight and Awake at Dawn in one book. It’s a great gift for a friend who hasn’t read my Shadow Falls series. For details just follow this link to St. Martins Press. You can pre-order your copy at Amazon or Barnes and Noble, online or in the store. 1. What state is Steve from? 2. When Della and Steve are in the warehouse with the rogue vampires, what kind of bird does Steve change into? 3. In the warehouse Della has to fight another girl who is half vampire and half what? Remember, don’t leave your answers here, email them to me at cc@cchunterbooks.com.